Applying forced induction to a normally aspirated production engine is no simple task and APR’s Engineering Teams understand that new innovations, processes and components must be incorporated into the design to insure OEM reliability and drivability while producing incredible performance results. Within APR’s Stage III, you will find more components and higher quality parts at every comparison than with any of the competing products currently available. The goal of APR’s design was not merely fitment and operation but consideration of the long term effects of such a dramatic power increase and the overall reliability of the vehicle. Extra steps must be taken to insure Performance Without Compromise. 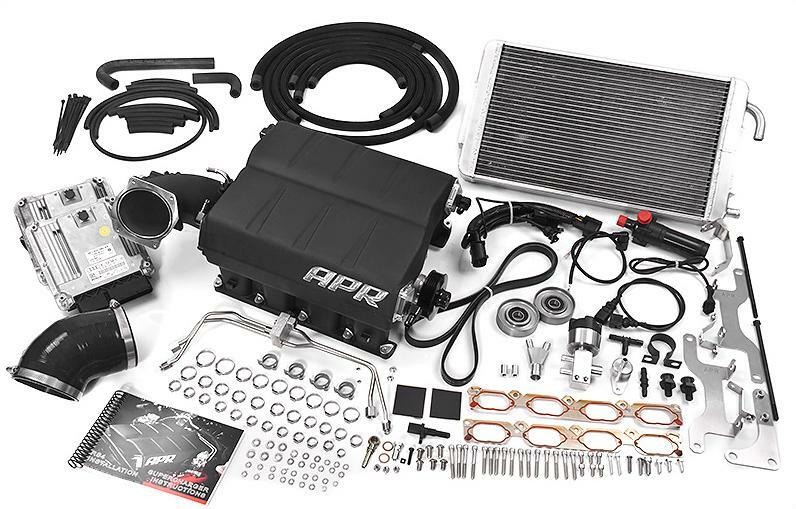 Not only will RS4’s equipped with APR’s Stage III produce blistering increases in wide open throttle acceleration, daily driving is greatly improved with increased torque and horsepower available in even the lowest rpm’s of the power band. Less downshifting for passing and greater rates of acceleration at all points result in a driving characteristic of pure enjoyment in all situations. Both Drag Racing and Road Racing demands are taken into consideration during the design and calibration process in order to provide a well rounded solution for all enthusiasts. 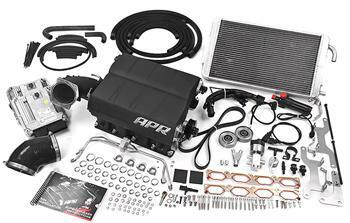 APR’s Engineering Teams are pleased to present our second iteration of the Audi 4.2l V8 FSI Supercharger application. Producing over 537 HP and 443 ft-lbs of torque, APR’s B8 S5 Stage III adds over 187 horsepower which completely transforms Audi’s latest coupe to new levels of acceleration and performance. Not only will S5’s equipped with APR’s Stage III produce blistering increases in wide open throttle acceleration, daily driving is greatly improved with increased torque and horsepower available in even the lowest rpm’s of the power band. Less downshifting for passing and greater rates of acceleration at all points result in a driving characteristic of pure enjoyment in all situations. Both Drag Racing and Road Racing demands are taken into consideration during the design and calibration process in order to provide a well rounded solution for all enthusiasts.